Through a calendar of specially-designed programs, the District strives to provide comprehensive, effective, and developmentally appropriate formation and support programs for its Brothers, Lasallian Partners, Trustees, and students. The goals of these programs and accompanying activities are to engage the participants intellectually, emotionally, and spiritually, to promote a deeper understanding and commitment to the Lasallian mission and charism, and to advance the Catholic and Lasallian character of the communities and works of the District. See dates and locations of program events for the current academic year, listed either by month or by program area. See programs for Formation for Schools, Boards of Trustees, and for Mission Assessment & Planning. 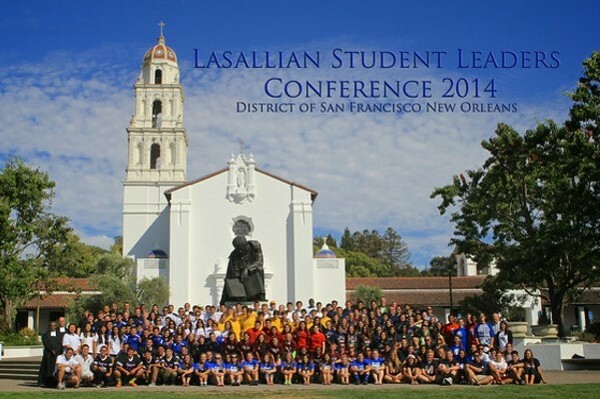 See programs for Young Lasallian groups, and for leadership formation and immersion/service opportunities. See District formation and community gatherings for Brothers. See RELAN formation programs and events.